ClarisHealth | Claim Spend – Is It Too High at Your Health Plan? 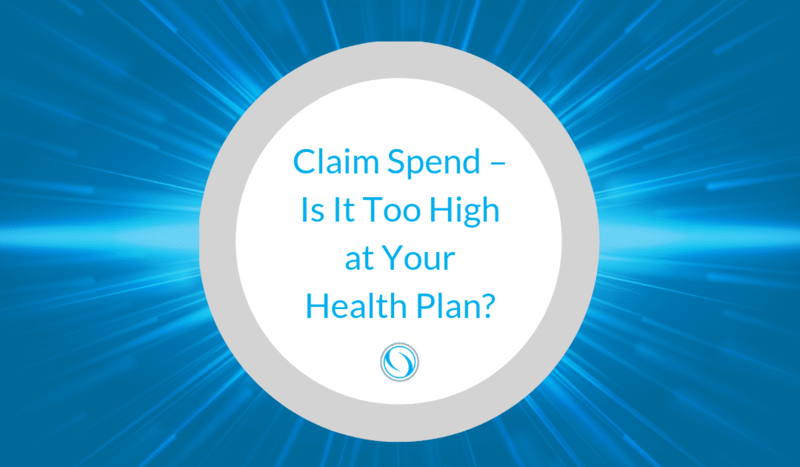 Claim Spend – Is It Too High at Your Health Plan? Examining claim spend cost at health plans, and what kind of ROI can be expected. Controlling claim spend is nearly impossible without system visibility. By that, we simply refer to the access that some technology gives health plans and payers into payment integrity programs which includes measuring how much is spent on claims. Some health plans we speak to lack this type of total visibility and therefore settle for 1-2% rate of return on claim spend rather than the nearly 10% that is achievable with Pareo®. Considering that healthcare overspending is on the rise, it has never been more important to contain claim costs. Overspending on healthcare claims payments is estimated to total $1 trillion of total annual healthcare expenditures in the United States. Generally, we identify overspending to occur in three categories: fraud, waste and abuse. You may think that a fraud program is catching overspending at your health plan – it’s not. Even a full FWA program will have gaps if it isn’t paired with total system visibility. Overspending on claims goes further than monitoring fraud, waste and abuse. It also extends to cost-containment on claim items, such as unnecessary medical services or above-market prices. For each health plan, the opportunity to maximize return on claim spend can be different depending on their service lines, enrollment numbers, and other factors. Unfortunately, these opportunities are often only uncovered once comprehensive technology is in place to shine a light on the big picture (we term this total payment integrity). Reduce administrative costs, which amount to nearly 20% of claim spend. It was previously thought that higher prices for healthcare in the United States were a result of factors like over-utilization and low social spending. But according to CNBC, researchers cannot prove either of these commonly believed causes are actually driving higher healthcare costs. Instead, it seems the reason that costs are high is that prices are higher in the United States. Administrative costs and high levels of “administrative burden” are believed to account for 8% of total national health expenses in the U.S.
Continue to address fraud in-depth by leveraging innovative technology. Imagine how much easier it would be to deter fraud if more granular information was recorded, tracked, and acted on. One article by Health Payer Intelligence looks at how adding medical devices data and unique device identifiers (UDIs) to insurance claims can positively benefit healthcare spending. Identifying and tracking medical devices allows for more accurate costs to be understood and even improve care for health plan enrollees. “This information can help identify when lower or higher cost products may be clinically appropriate, doing this can also improve patient outcomes and safety,” according to Pew Charitable Trusts. Streamline by looking at too-high prices, unnecessary services, inefficiencies and missed prevention opportunities. Advanced technology and all-payers claims databases are key helpers to achieve this goal. For example, one study noted that high-price, high volume surgical procedures cost 2-6 times more in America than other countries. The top 25 of these “high-margin, high volume procedures” is responsible for 20% of the per-capita healthcare spending in the United States, according to Health Leaders Media. For at least the last 8 years, healthcare overspending has been tracked and in some cases, specifically attributed to causes like “excess administrative costs,” “missed prevention opportunities” and “unnecessary services,” each of which was near equal to or far greater than the costs of fraud (source). Actively track your ROI on healthcare claims. The ability to control costs in real-time is much more effective than retroactive analysis. Pareo® offers clients live analytics so they can aggressively stop leakage and realize ROI quickly. Sophisticated technology enables your health plan to expand beyond claims editing and into a truer payment integrity system. This is done with advanced analytics, AI, and goal-setting/accountability capabilities within the Pareo® interface. Don’t settle for the industry standard. Aim for a better solution to contain costs at your health plan. You can tighten margins, proactively control claim spend, and contain costs across the healthcare continuum with the power of Pareo®.